Renting uniforms and apparel introduces a world of hidden fees and reduced quality. We discovered agencies who choose to rent uniforms are often unaware of many of the detrimental effects to their budgets and uniform quality. This infographic was created to show exactly what renting uniforms entails so agencies like yours can continue to work hard to serve the public, and avoid being bogged down by extra costs or limited uniform options. Take a look at the full infographic here or by clicking on the preview image below and prepare to be enlightened on the harsh reality of rentals. Or, if you prefer, continue on past the image to read a synopsis of our findings. Purchasing uniforms saves money, ensures quality, creates ownership and avoids unnecessary commitment or time constraints. Uniform rental contracts often require laundry services they count on you to not fully utilize. Even when your employees do not turn in your garments, you pay for laundry, including days your employees are sick, on vacation or disengaged. For example, your contract might require you to pay $300 per week to launder 100 uniforms even when you have 11 out sick, 8 on vacation and 23 disinterested in actually using the laundry service. Uniform rental companies reuse, patch and repair old garments as long as possible, usually milking an item an average of 3-5 years. Purchasing plans replace garments in 1-2 years. Mandatory laundry services use hot water and harsh chemicals, which deteriorate both the appearance and comfort of garments much sooner than home wash.
Has a rental contract ever suggested you go with a navy pant and light blue shirt? In attempts to cut their own costs, rental services sometimes push the exact same uniform to every job at every business. Uniform rental companies regularly take money out of employee paychecks to create a sense of “ownership.” Purchased uniforms, however, are a reflection of your brand that allows your employees to take pride in their uniform and believe in their team. It’s sort of a ownership by fear vs. ownership by pride scenario. Wouldn’t you much prefer your employees take pride in their uniforms? a sense of responsibility for the uniform. The average employee uniform rental agreement begins at three years at $6.00 per person/per week for a shirts and pants program. This charge is just the base fee and doesn’t include additional charges, repairs or replacements. Don’t forget. This is just savings at base price. All the recurring fees of renting uniforms will likely lead to even higher actual savings with purchasing. Average uniform rental contracts often require you to pay for 11 uniform sets per person. This is so you have 5 sets of uniforms in your closet, 5 sets in the wash and 1 on you at all times. Not only is this just simply an unnecessary amount of garments, with 11 sets, a garment or two are more likely to go missing, which you would be charged for. We do our best to make purchasing uniforms easy. Get a free product comparison to see for yourself. Email info@servicewearapparel.com to see how much you could be saving. Do you know the difference between a banded collar and a crew neck? How about the pros and cons to acrylic vs. polyester fabrics? Check out our uniform glossary, The Ultimate Guide to Uniform Terminology to easily familiarize yourself with all the terms and phrases you are likely to encounter during the uniform buying process. The goal of this comprehensive uniform glossary is to make uniform procurement as seamless as possible. It’s perfect to keep on hand as a quick reference guide as you compare garments and make your uniform selections, so download your free uniform glossary now! If you have any questions, email an account manager standing by to help! Are you getting the best deal on your uniforms? A professional uniform leads to professional work. Public agency employees need functional uniforms for the job. They also need to feel confident and comfortable to put their best foot forward and serve and represent your community well. A uniform should accommodate, not hinder, your employees’ work and attitudes. Provide the best quality for the lowest cost by purchasing your uniforms instead of renting them. Agencies tend to assume renting uniforms will cut costs. This assumption is incorrect. To rent five changes of standard 65/35 poly cotton uniform pants and shirts, you would pay an estimated average cost of $6 per week per employee, or $312 per year. To purchase these same five new pants, five new long sleeve and five new short sleeve shirts would cost about $135. 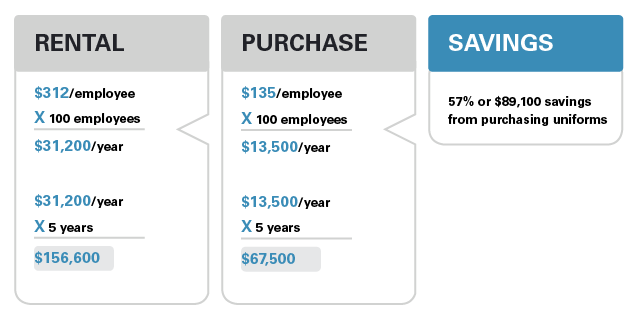 Purchasing uniforms could save you $177 per employee per year, or 57%. Download the Rental Vs. Purchasing guide below for a detailed look at each of these additional costs to determine how they can affect your costs for both rental and purchasing programs. Learn more about the commonly overlooked features of uniform rental programs and how purchasing your garments may be a more effective, cost-saving solution. We know your work isn’t slowing down anytime soon. Your departments need uniforms, and they need them quickly. Here’s a transparent look at exactly how the ordering process works at ServiceWear Apparel. We deliver your uniform and work apparel orders on a competitive timeline compared to other uniform suppliers. This contract has 300 employees dedicated to efficient turnaround times for uniform and apparel customization, that allow us to maintain an average turnaround time of under 14 days. Read on to see how we do it. Start receiving your uniforms and work apparel quicker now. Connect with our Account Management Team, standing by to answer your questions, compare products and prices, or help you set up an account. You need cost effective solutions for all your uniform needs. So should you purchase or rent uniforms? In an effort to cut costs, you may have, or be considering, a uniform rental contract. Keep reading for three reasons to purchase rather than rent uniforms. Should you purchase or rent uniforms? 1. Rental contracts charge fees for adding new employees. There is normally a prep or setup charge to add every new employee hired during the term of the contract. This is an added cost for laundry to pull garments out of inventory and add a laundry tape to the garment. Five changes of pants and shirts require eleven sets to be used. An average setup charge is $1 per garment. Twenty-two garments at $1 each results in a $22 setup charge per employee. Purchasing uniforms often eliminates this added cost. 2. Rental contracts charge fees for size changes. A fee of $1 to $2 per garment is charged when an employee requests a change in size during the term of the contract. Keep in mind that a rental contract usually ranges from three to five years. Almost all employees have at least one size change during that time span. Purchasing uniforms means that the employee not only gets a new uniform each year, but can also order their correct size without penalty. 3. “Under-wash” means you pay for laundry services that weren’t performed. One of the highest ancillary expenses when using a rental uniform contract is paying for something called under-wash. Under-wash refers to an agency being charged fees for weekly rental and cleaning services that are not performed, due to employees not turning in their uniforms to be cleaned. Why does this happen? Many employees forget to bring in their uniforms, are sick, or are on vacation on pick-up day. Also, many employees prefer to wash their own uniforms at home for personal hygiene reasons. It is reported that the average number of employees within rental uniform programs who do not turn in their uniforms for cleaning ranges from 30% to 33%. This means that as much as a third of the cost of a uniform rental contract may be billed to agencies with no return for that investment. Purchasing uniforms eliminates this added cost. Purchasing uniforms is the most cost-effective solution. 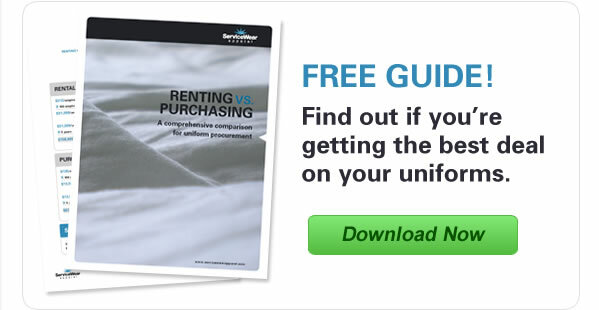 To learn more about renting vs. purchasing uniforms, download our free guide that provides a comprehensive comparison for uniform procurement. Wondering if you should rent or purchase uniforms? 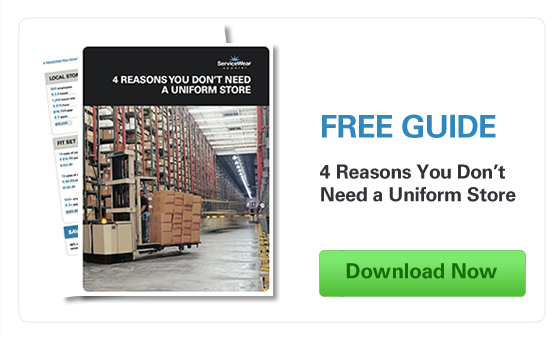 Get a free guide comparing uniform procurement options. What’s the Difference Between Dress Pants and Work Pants? 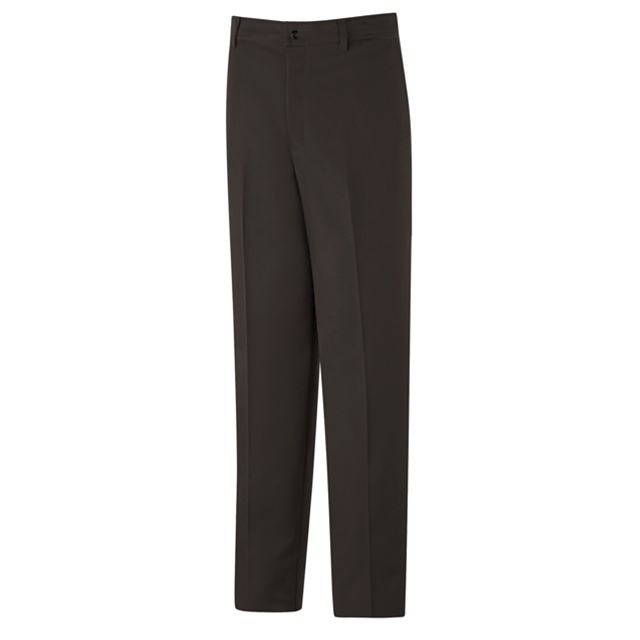 Dress Pants and Work Pants: Which is which? 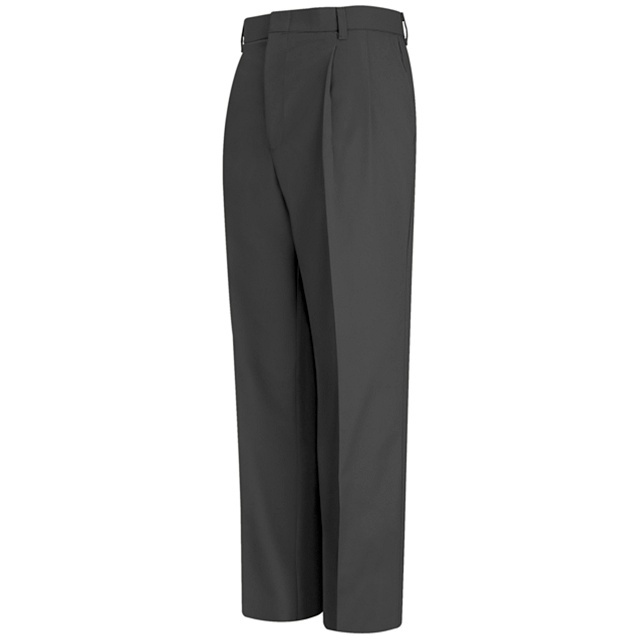 Work pants have basic construction features (button closure at front waist) and dress pants have upgraded waistband construction and features with hook and eye closure. Dress pants also have an upgraded back welt pocket construction that does not include topstitching as found on the work pant. What’s the Difference Between a Dress Shirt and Work Shirt? Dress Shirt and Work Shirt: Which is which? 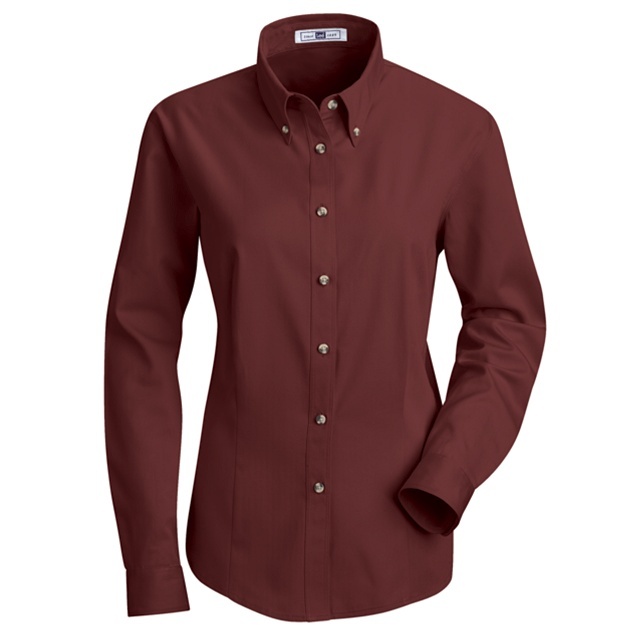 Work shirts typically have a convertible collar, which is a top and bottom piece sewn directly to the shirt. 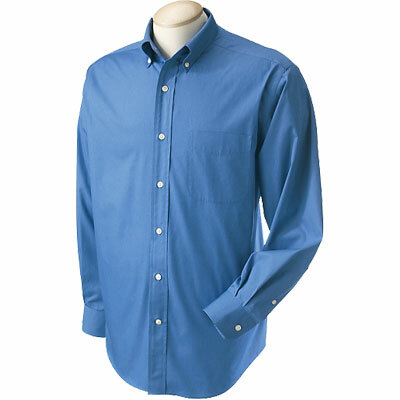 Dress shirts typically have a collar stand and collar, or banded collar, where the collar is sewn to a collar stand and the collar band is sewn to the shirt. A banded collar is what gives a shirt an improved/dressier appearance. Additionally, work shirts usually feature two chest pockets for increased functionality, whereas dress shirts normally have one. Use the chart and descriptions below to learn how to measure uniforms for fit. Don’t like measuring? Click here to learn about how fit sets can get your agency better fitting uniforms AND save time and money. First, remove your belt. Then, measure over shirt (not over pants) at the position you normally wear your pants. Hold the tape firmly but not tightly. For shirts and covering garments such as coveralls – measure midsection over clothing around the fullest part of the abdomen. Note: Include both “A” and “B” measurements if ordering multiple garments. Standing straight, measure the distance from the crotch to just below the ankle bone. Or, using similar style pants that fit you well, lay garment flat with front and back creases and smooth. Measure along the inside seam of one leg from the bottom of the hem to the crotch. Measure the circumference of the head at its widest diameter, approximately 1/8″ above the ears. Front: This is the distance from the center front at the top of the waistband to the intersection of the crotch seams. Back: This is the distance from the center back at the top of the waistband to the intersection of the crotch seams. Measure the maximum circumference of the forearm at approximately 6″ above the wrist. Measure along the outside of the leg from the top of the waistband to the bottom of the hem of just below the ankle bone. Or, lay garment flat, measure along outseam from top of band to bottom of hem. With arms at the sides, measure around the broadest part of the shoulders and upper arms, keeping the tape level at all times. If over-arm measurement is 7″ larger than chest measurement, go up one size. Using body measurements doesn’t guarantee a comfortable fit. Only trying on the actual uniform garment ensures it will fit properly and comfortably. 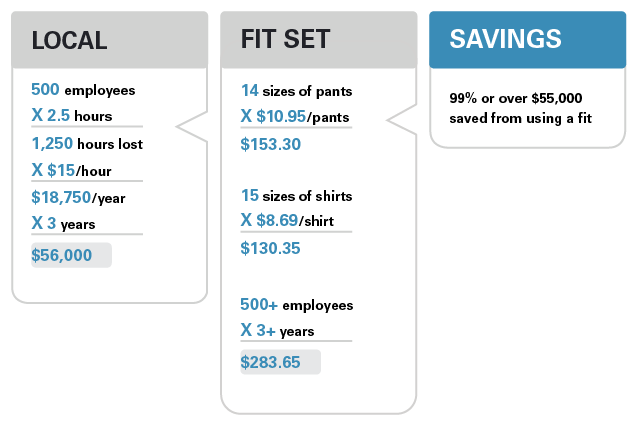 See how fit sets can get your agency better fitting uniforms AND save time and money. Ever wonder why you may wear a size small with one clothing manufacturer and a size medium in another? Recent history gives us some insight into this conundrum. Believe it or not, until about 100 years ago, everyone either made their own clothes or employed a tailor, and all fashions were custom designed. The Home Economics division of the U.S. Department of Agriculture hoped to sell more ready-to-wear clothing by developing a reliable, industry-standard sizing system. The U.S.D.A. conducted a two-year study of women’s body measurements beginning in 1939. It was a tremendous undertaking that involved 15,000 American women and input from mathematicians and technicians taking 59 measurements of each participant. From these results, a sizing system was created. However, as a result of various cultural pressures, North American clothing sizes have drifted substantially away from this standard over time, and now have very little connection to it. The concept of “vanity sizing,” also known as size inflation, is used by the apparel industry to refer to the phenomenon of ready-to-wear clothing of the same nominal size becoming larger over time. 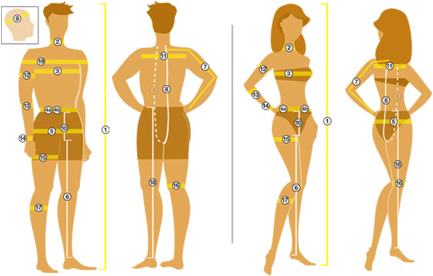 Vanity sizing tends to occur in places where clothing sizes are not standardized, such as the United States. Also, some people prefer a more relaxed fit for their apparel and some prefer a slimmer fit. Personal fit tastes are not gender specific and vary from one person to another. To address the issue of vanity sizing and inconsistent sizing between manufacturers, ServiceWear Apparel recommends government agencies use fit sets. Learn more about how fit sets can benefit your department, by downloading our free white paper, How to Get Better Fitting Uniforms that Save Time and Money.